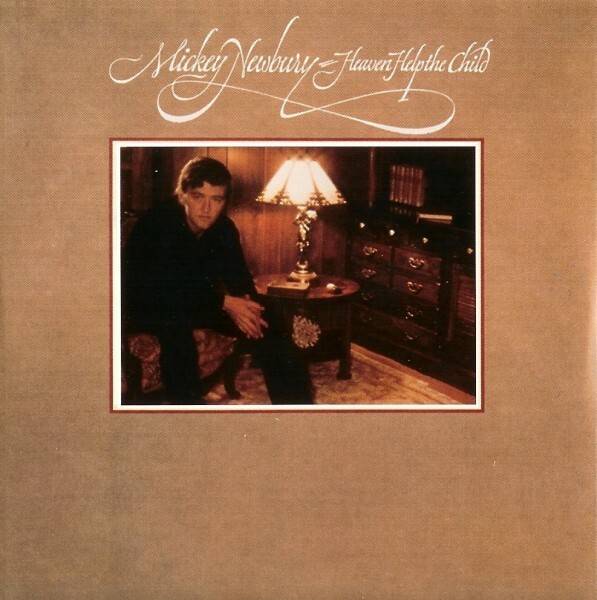 We grew up listening to Mickey Newbury’s masterpiece, “Heaven Help the Child,” at a time when, amongst other things, children were being drafted into war. The title song conveyed well the loss of innocence and a bit of the era’s angst, and it never fails to deeply affect us. And through that great song we came to know and appreciate Mickey Newbury, one of America’s under-appreciated songwriters who was revered by many, and in particular by his fellow songsmiths and singers (see tributes below). Unfortunately, Newbury’s output fell precipitously after attaining these lofty heights and, though he continued to release music, he gradually disappeared from the scene and passed away in 2002. Heaven Help the Child was released in 1973 and was the exclamation point on a three-peat of albums that started with 1969’s “It Looks Like Rain,” and was followed by 1971’s “‘Frisco Mabel Joy.” He wrote subtly brilliant songs and was an extraordinary singer. Given his prodigious talents, we have never understood why he wasn’t as well-known as Willie or Waylon, or at least as well known as Kris Kristofferson or Townes Van Zandt. The mystery remains. The original Heaven Help the Child album has never been released as a CD and went out of print. We have thankfully held on to our vinyl copy, though it’s a bit wizened. Fortunately for Americana music lovers, the smart citizens over at Drag City Records have finally realized the music-industry’s grave mistake and will re-release five of Newbury’s missing albums, including Heaven Help the Child, on May 17th. The re-releases are digitally re-mastered direct from the original analog tapes found in an Elektra Records vault (previously thought to have been destroyed by fire). In the meantime, we’ve hacked into a digital turntable (if you will) and converted our 1973 vinyl to 2011 digital for your listening pleasure so you don’t have to wait until May 17th (pops, clicks, early stops and warts included–and all, gratis). Below you can listen in to a few songs off of Heaven Help the Child. Just like in some of Patsy Cline’s best recordings, the Nashville strings and choral treatment may strike you as too “smooth” or peg your “Cheeze-O-Meter.” We can’t quarrel with you at a certain level. But just like in Patsy’s recordings, Newbury’s stellar songs and singing overcome. It doesn’t hurt that the likes of Chet Atkins (guitar) and Vassar Clements (violin) play alongside the strings. And oh, the boy could sing. Oh, how the boy could sing. Oh that it were so. Instead we war and fight still. In addition to Heaven Help The Child, check out Newbury’s Sweet Memories and San Francisco Mabel Joy. We hope that you’ll visit Drag City and check out some of these great albums of Mickey Newbury’s. And finally, check out this great video vignette below.